But Colossal, which also stars Jason Sudeikis, Anne Hathaway, Tim Blake Nelson, and Austin Stowell, is charging forward like the very monster it may or may not be ripping off. The story is centered on a young woman played by Hathaway who moves back to her home town after losing her job and getting dumped. There, she finds out that she has some sort of psychic connection with a giant creature definitely not named Godzilla who has shown up to destroy the city, much like Godzilla might do. Stevens will play the ex-boyfriend who dumped her but then apparently decides he wants her back and spends the rest of the movie fighting her love. 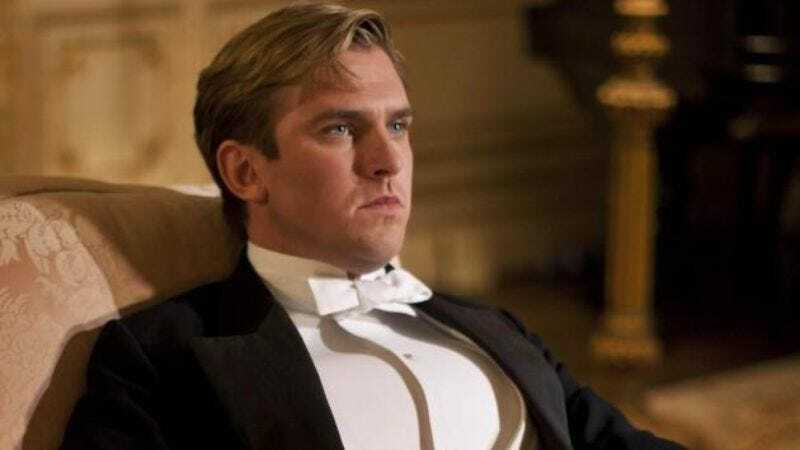 Stevens, best known for his role as Matthew Crawley in the first three series of Downton Abbey, also stars in the upcoming Disney live-action adaptation of Beauty And The Beast as the beast, because, you know, his face is one that you look at and immediately think “hideous beast.” We presume he was very happy to hear he had not been cast as the monster in Colossal. Vigalondo, whose films include Timecrimes, Extraterrestrial, and Open Windows, wrote and will direct the non-Godzilla Godzilla film, which is already in production in Vancouver and doesn’t seem to have slowed down as a result of the lawsuit. It does not yet have a scheduled release date.